The luxurious free-standing holiday houses on a parcel of 320m2 with its own parking space. The rear side of the holiday houses have a beautiful view on the typically Dutch meadows in the area. 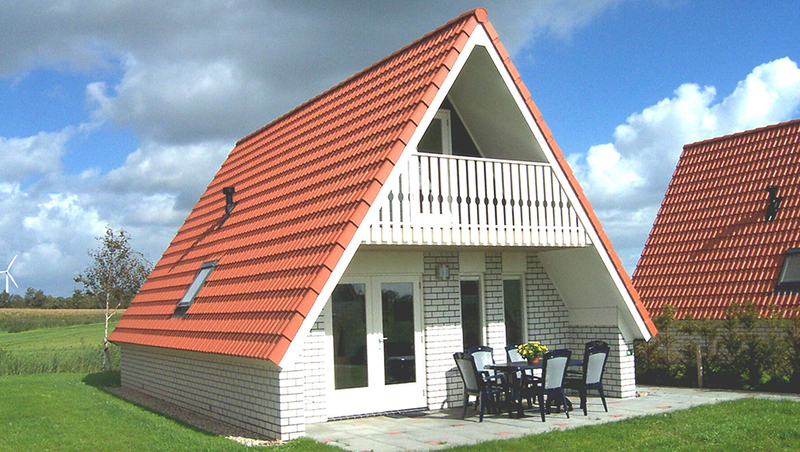 The holiday houses are suitable for 6 persons and are located at the ‘Chaletpark de Wierde’ on Wieringen (which used to be an island) in Den Oever (Noord-Holland). Nearby the Waddenzee are the Amstelmeer, IJsselmeer and the Robbenoord forest. The Waddenzee; dream of the yachtsman and Eldorado of the sport fishermen. Nearby is the IJselmeer with its magnificent docks. There are 10 ports of call available in the open marina of Den Oever. Surfing spot par excellence is the Amstelmeer, which also has a very child-friendly and safe ‘Lutjesstrand’ beach. The holiday houses are very modern and completely furnished according to high standards. The total surface of the holiday houses are 85m2. There are 3 bedrooms available, one of them has a balcony. These bedrooms are provided with 6 highly comfortable single Auping beds.